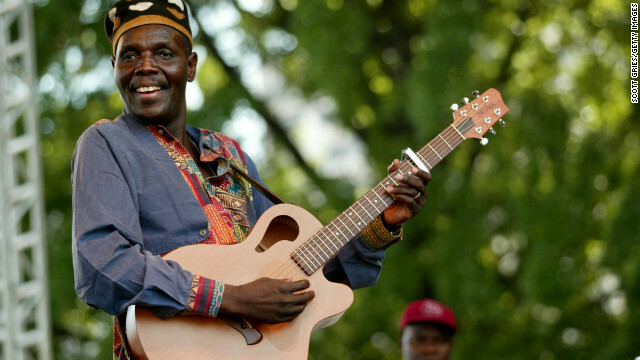 "He has rested since he was in the hospital last year when he had a heart problem," said Clive Mukundu, a music producer who worked with Mtukudzi, to CNN in front of the private medical center where the 66-year-old Musician was treated. A spokeswoman for his record label also confirmed the news to CNN. Caroline Morabe said: "I can confirm that Oliver Mtukudzi has passed away and the family will later publish an official statement with more details." Known by its fans as the "Tuku", Mtukudzi had been successful for decades across Africa, the United Kingdom, the United States and Canada. 952, his footstep music was described as a mixture of Zimbabwean pop-style "jit" and South African township pop. With his strong sound and inspirational lyrics, he documented the joy and pain of his compatriots who fought for freedom under colonial rule and died for democracy after Zimbabwe's independence in 1980. "Where I come from is not a song to sing, if you have nothing to say," he said in a 2013 interview with CNN. Mtukudzii grew up in Highfield, a ghetto neighborhood in the capital of Zimbabwe, Harare. "So every song has something to do with this guy on the street, he has to use it in his life," he said. The musician had more than 60 albums under his belt and released an album in 2013 titled "Sarawoga, a homage to his beloved son Sam, who died in a car accident in 2010 at the age of 21. The couple often played together with him described the album as a "therapy" to help him overcome death. "I just thought of him and tried to recover, though music was my therapy. I think I have played more shows since 2010 than ever before because this is the only therapy I have received. Often referred to as the spiritual father of Zimbabwe, Mtukudzi, against whom his brother Robert and several band members have lost AIDS campaigned for the removal of the HIV / AIDS stigma for mothers in Tanzania. He was too open to patriarchy and criticized polygamy as a method that increases the risk of HIV spreading.